T’was three nights before Christmas and all through the Southwest, people were craning their necks upward, tracking the path of a strange flying object as it flamed across the night sky. It was large and bright and fast. And then it was gone. 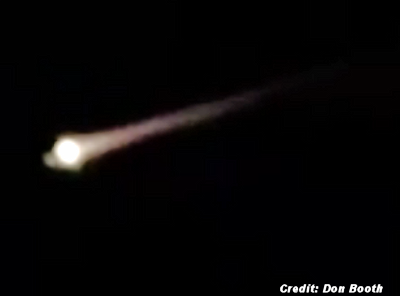 U.S. Strategic Command spokeswoman Julie Ziegenhorn told the Associated Press that Tuesday night’s fireball was an SL-4 rocket body booster from Russia that launched Monday. It was a Russian memo to Obama. ?